Despite some solid products, Cadillac has struggled to get traction in the sedan market. But people are crowding the showroom to see a car prominently featured in the automaker’s ads: the Escala. The only problem is the Escala is not for sale. 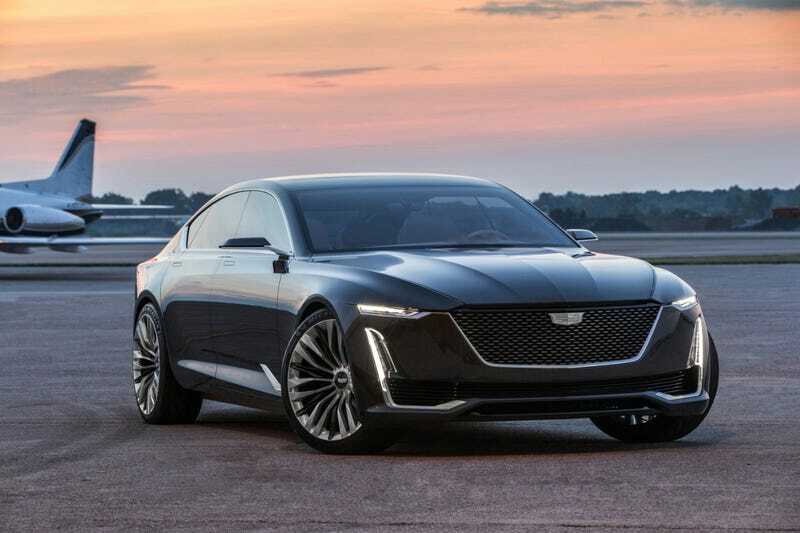 According to Automotive News, the gorgeous Escala concept that hit the airwaves during the Oscars has been driving new traffic into Cadillac dealerships. Good news for the brand that has a hard time getting customers into anything other than a crossover. However, some people missed the part of the commercial that the Escala was a “forward thinking” concept and not a car they could actually buy, or that Cadillac doesn’t have any plans to put the Escala into production. Rather, the automaker plans on using the concept’s design cues to influence future products. Unfortunately, those “future products” can’t be sold to people who are in the market right now. Cadillac says that some of the Escala traffic has translated into customers going for the flagship CT6. Considering that Cadillac has managed to sell more CT6 models than Mercedes has sold S-Class cars thus far, you could say the gamble paid off. However, the Escala ads have done nothing to bolster the rest of the brand’s four-door lineup. The CTS and ATS severely lags behind their European counterparts in sales, despite the fact that Cadillac has a much larger distribution network over their rivals. According to GoodCarBadCar.net, so far this year Cadillac has sold fewer than 11,000 units of the ATS and CTS combined. Meanwhile, BMW has moved over 22,000 3 Series sedans, and the current 3 is towards the end of its lifecycle. Recently, I wrote that the CTS V-Sport is an underrated value in the pre-owned market. While many of you recognized the performance and luxury value for the dollar, a lot of comments mentioned how the styling of the CTS just didn’t sit with them. If Cadillac is really serious about reinvigorating their sedan lineup to draw more customers, perhaps they should bring consider speeding something like the Escala to market. They need something to strike a chord with potential buyers, and soon.